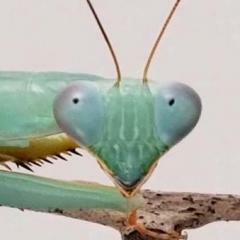 Male Peruvian leaf mantis passed away yesterday. Sad, but I am glad that he was able to fulfill his purpose of mating! Will also attempt to breed my Hierodulas tomorrow!